There are 6 reviews of Asian Green Tea. 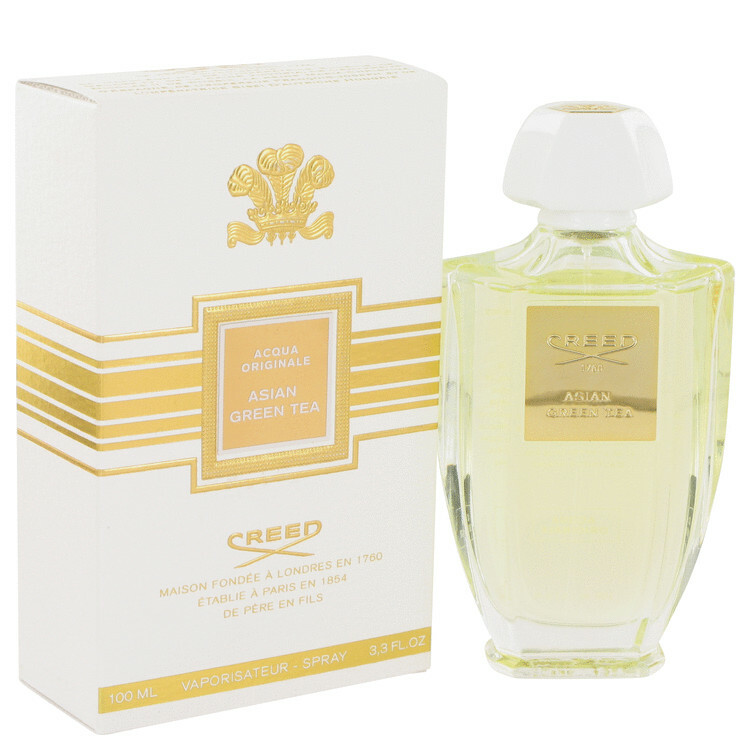 Credible green tea based fragrance from Creed. Asian Green Tea has the requisite pungence, along with many other touches from various floral, aquatic, citrus, fruity, and woody ingredients. Fresh, tangy, citrus green quality with a classy twist, thanks to Creed's expert craftmanship that leaves AGT with a quality feel to it. I think of other green tea based scents like Calvin Klein's CKOne and Jaques Fath's Yang in comparison: Those are stronger, headier, and heavier than AGT, which has a lighter feel with classier additional elements accenting the green tea note. Being a Creed, AGT has a more thoughtfully constructed vibe and is more laid back. Asian Green Tea is pleasant overall, an ode to this wonderful note that has graced the fragrance atmosphere for so many years. Purchased this for my wife as she really liked it when I purchased before for myself. I, too, thought it was slightly more feminine than masculine.. Reminds me of Acqua Fiorentina but lite...this fragrance, Acqua Fiorentina, and Jardin d'Amalfi all share a lot of the same notes. Opens with a pear-like, green apple feel with the green tea accompaniment. It is ok. It is slightly more feminine than masculine. This cologne gives off a Victoria Secret type of vibe. It reminds me of something I would wear in my earlier 20s. I give it a 3/5. Cedre Blanc and Aberdeen Lavendar are the better ways to go in this line. After I am done with the bottle I will not be repurchasing....a first for a creed cologne. FYI: did get a compliment the first time I wore it. It's good. Smells just like green tea, with other ingredients to accompany it so it's overall fresh and pleasant as you'd expect a Creed to be. The green tea note makes it distinct and if you want to smell like that, then try this one for sure. If you aren't particularly interested in that, it's not worth the money. Worth a try. Nice fragrance but VERY close to the skin. If I'm going to spend that kind of money I want to smell it. From the beginning I get a pleasant bergamot-mandarin with a nice green tea added on soon. The tea is very mild, as if brewed only very briefly, and the whole opening is a restrained affair in general. A touch of rose is added in the later drydown, but after the first couple of hours it dies off. Wait! It returns with a berry-woodsy note, a delayed base note so to speak, very close to my skin. The silage is soft, projection limited and the overall longevity in the range of three hours on me. A pleasant composition for warm spring days that I need to reapply every few hours, but then it just makes it to a positive score. At times a bit thin. There are no member images of Asian Green Tea yet. Why not be the first?